July 2016 marked 12 months since Sydney North Health Network opened its door in St Leonards and began operating as a PHN (primary health network). While improving patient outcomes is our focus, we collaborate with our local healthcare partners including the NSLHD, local GPs, Allied Health providers and services at a system level to improve the delivery of primary healthcare. CLICK HERE to learn about some of SNHN’s 12 month milestones. 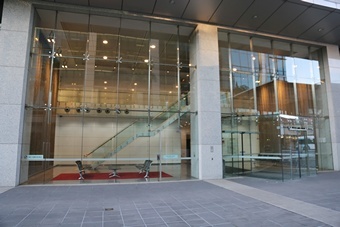 Sydney North Health Network has moved office. SNHN has relocated to a new office next to St Leonards station. 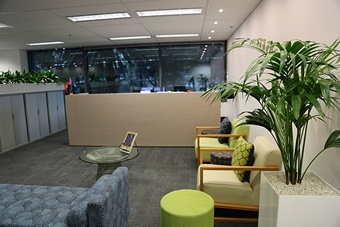 Come and visit us at our new address: Level 1, Building B, 207 Pacific Highway, St Leonards NSW 2065. We are now even easier to find and more convenient to travel to – within walking distance of both St Leonards station and Royal North Shore Hospital. All other contact details including our telephone and fax numbers and email addresses remain the same. Sydney North Health Network will be joining the GroundSwell project and holding a morning tea on Dying to Know Day Monday 8 August. Dying to Know day (D2K) is annual day of action which is dedicated to bringing to life conversations and community actions around death, dying and bereavement. The event is also about building death literacy to enhance the practical know-how needed to plan well for end of life. Meaningful value based end of life planning occurs at any age and regardless of our health status. We build our death literacy through experience and being hands-on, caring and supporting people. SNHN staff will take part in games and activities to promote conversation. Sydney North Health Network is committed to improving knowledge and care practices of people with cognitive impairment, improving their transition to and from hospitals, assessment, development of care plans and ongoing follow up resulting in better outcomes for patients and their families. SNHN has joined the Caring for Cognitive Impairment campaign which aims to create a platform for collaboration and sharing of good practice. The first Caring for Cognitive newsletter features a case study that illustrates the aim of the campaign; showcases Dementia Training Study Centres as supporting organisations and their role in the campaign; and provides resources. 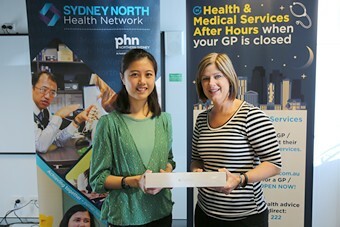 Sydney North Health Network (SNHN) wrapped up the financial year with a region wide membership drive speaking to GPs, Pharmacists, Psychologists, Practice Nurses and other Allied Health Providers about the benefits of becoming a member. As an added incentive all members who joined in the period went into the draw to win one of three new iPad Pros. Her reason was echoed by the other two winners; St Leonards based Clinical Nurse Consultant, Emma Floyd, and Neutral Bay GP, John Galicek who were interested in referring patients to accessible primary health care to prevent unnecessary visits to hospitals. The drive was hugely successful attracting nearly 300 new members and raising the profile of the services SNHN provides to the Northern Sydney region. Membership is a great way to keep up-to-date with the latest health news and research as well as form professional networks with likeminded healthcare colleagues. Joining is completely free and, as well as providing the opportunity to have a say on current and future health programs, members receive priority access to continuing professional education events, support, services, resources, advice, and networking events. If you’re interested in joining or would like further information CLICK HERE.